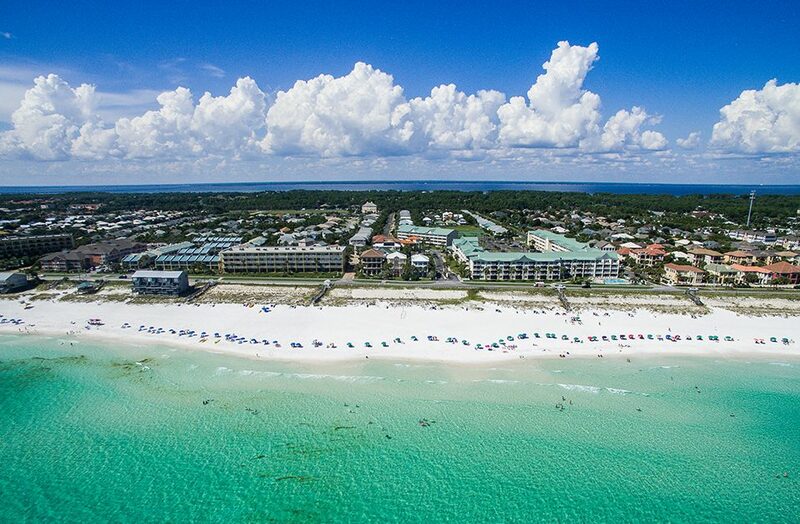 With an abundance of high rise condominiums, homes, premier shopping centers and mouthwatering restaurants, there’s no shortage of things to do in Miramar Beach. The five-mile stretch of scenic highway running along the coast, commonly called Old 98, offers beautiful Gulf views whether you drive, bike or run along the road’s scenic path. Widely regarded as the best place to spend a rainy day on the Gulf Coast, Silver Shells Premium Outlets is home to over 110 designer and name brand shops. Dine with a Gulf view at one of Miramar Beach’s many beachfront restaurants such as Pompano Joe’s, Capt. Anderson’s or the Crab Shack.